Results...... of my one week 'No-Carb' diet. Yipeee!! i lost 3kgs! No be small thing i tell you. You too can do it. You might even lose more if you weigh more than me. Please don't be too hard on yourself if you don't lose over 1kg, because 1 kg is very realistic. Don't forget i worked out every morning so, for those that have to leave for work early, and don't have time to workout, you can still do the plan and workout over the weekend, you will still shed weight. Its all about determination and focus. I was tempted a lot, but i always held back and it paid off. I didn't eat any form of Carbs all through the week and i didn't collapse. Lol! "Use food and don't let food use you" (i don't know who said that one oo. *runs away* Good luck sweets and lets hear results soon. Take care and God bless. Yay....awesome ....you did great....proud of you babes. Please post the meal plan....I love to follow it too.. Thanks a lot Tayo, I'm sure ull totally rock it thru. Please post the meal plan...I'd love to follow it too. Cheliz 10ks for d encouragement. Sorry I don't have pics to show. I started @ 80.3kg on Monday n as @ dis morning am on 78kg. Not bad but I wish I dropped more. Am seriously eyeing 76kg. God help me. Thanks a lot Zeebaby. Congrats too! Just keep exercising and watvhing ur meal sizes. Awww, thanks a lot Stella. Best of luck dear. Thanks for ur call the other day. Luv u dear. Hi dear, thanks for the compliment. I used ripe pear, and i peeled the skin off. The unripe one isn't very nice to eat. Take care dear. 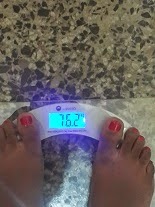 1. did you weigh yourself before you started to be sure of your start weight? 2. 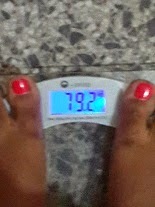 When you weighed at the emnd of the 7 days, was it in the morning after you went to the loo and before you ate anything? to be sure of your exact weight. many people make the mistake of weighing in the afternoon or at night when the body is carrying too much water and food. 3. did you eat enough food and didnt starve. Because if you starve, the body will hoard fat. 4. Did you over eat or eat the wrong foods. If you eat too much protein at a time, your mid section will get bloated and store water. So dear, please check these thing and lets know if something went wrong somewhere. Thanks and God bless. I commented yesterday for the first time asking a question,but you didn't post my question..
good job! this write up is really quite encouraging for me to start. Thanks a lot dear. Please start and lets know how its going. Hi pls check for the one on my blog. Iys for 1 week. If you need more pls call me. Thanks.